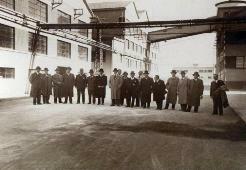 Visit of the representatives of the Montecatini company to the establishment of Livorno on 10/21/1936. “The right partner for big companies”. Prochin Italia, between values and professionalism, from generation to generation. Prochin Italia was founded in October 1988. Its foundation derives from the shareholder group will to consolidate and strengthen the presence in the chemical industry already acquired by several generations. 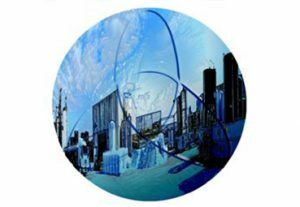 Its mission is to serve industry groups with a wide range of chemical products giving priority to reliability, professionalism and competence. The group of Prochin Italia has operated over the years favoring the aspects of reliability, professionalism and experience. These factors together with the degree of customer satisfaction have represented the decisive factors in our growth strategy and affirmation of the company’s brand and represent our culture of excellence. The manufacturing plant in Marcianise, that extends over an area of 25,000 square meters, was designed by paying attention to the environmental protection and the safety in the workplace. The installed plants and production equipment allow a high degree of flexibility of production standards guaranteeing the maintenance of product quality. Our Company Policy defines the commitments of the Management and intends to impart an attitude oriented towards “Quality – Safety – Environment” to its staff. That attitude will empower all business qualifications and at the same time make the business organization flexible and efficient. Prochin Italia has decided to regulate harmoniously the issues related to quality, environment, security by developing some processes that, initially designed on clear principles, connect in a coordinated and integrated system over time. 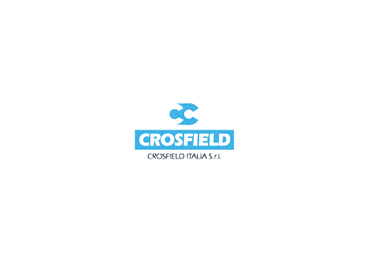 During 2016, Prochin Italia will complete the preparatory activities for the acquisition of the majority share of the company Crosfield Italia S.r.l.